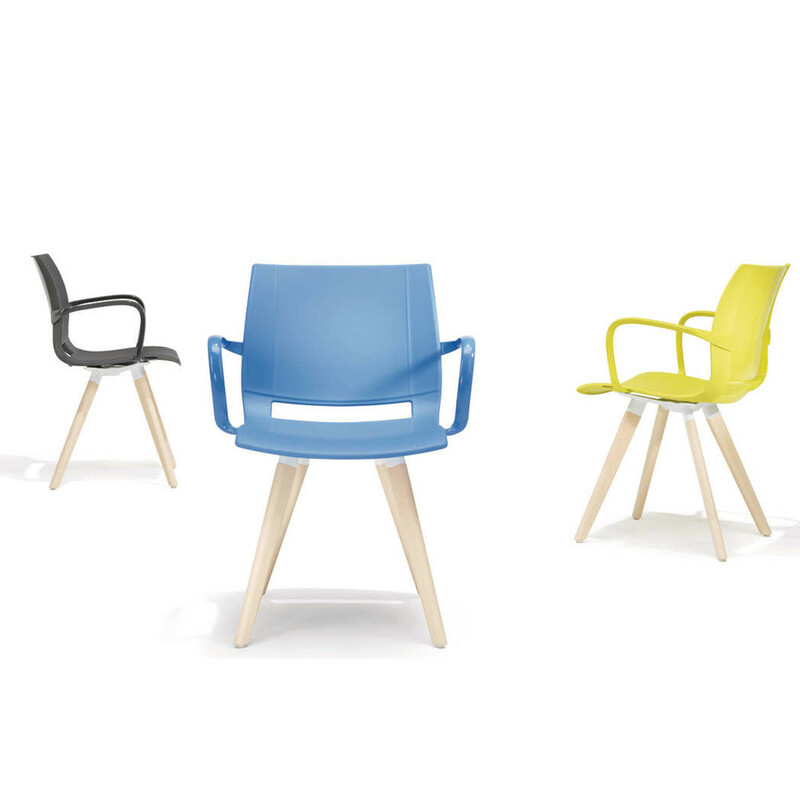 The 2080 Uni_Verso Chair Series are characterised for its interesting material mix contrast. 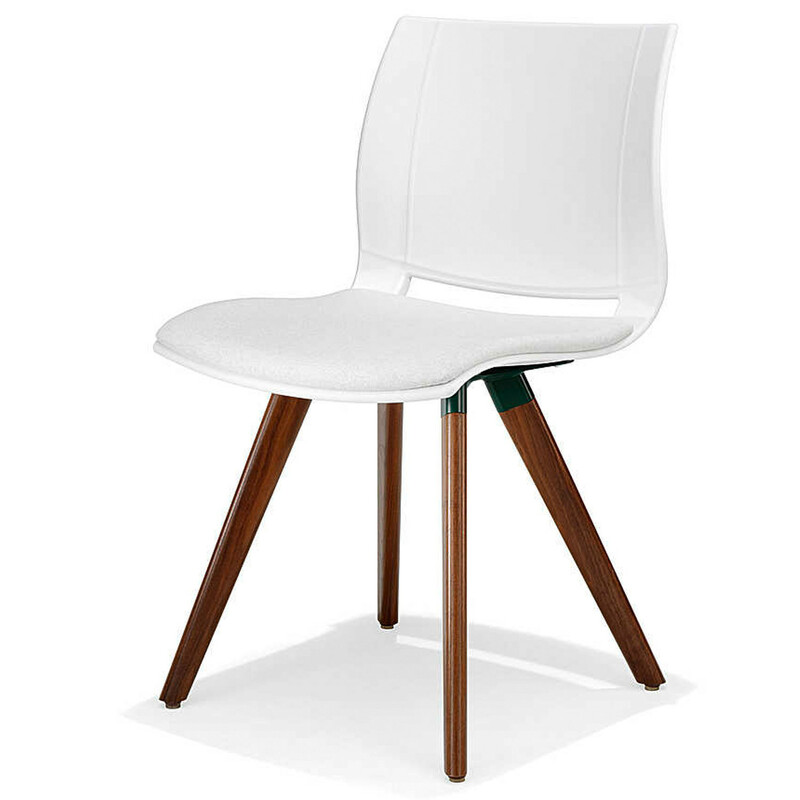 Featuring solid wooden legs, optionally in beechwood, oak or walnut, fixed to a plastic seat shell by means of steel connecting pieces. 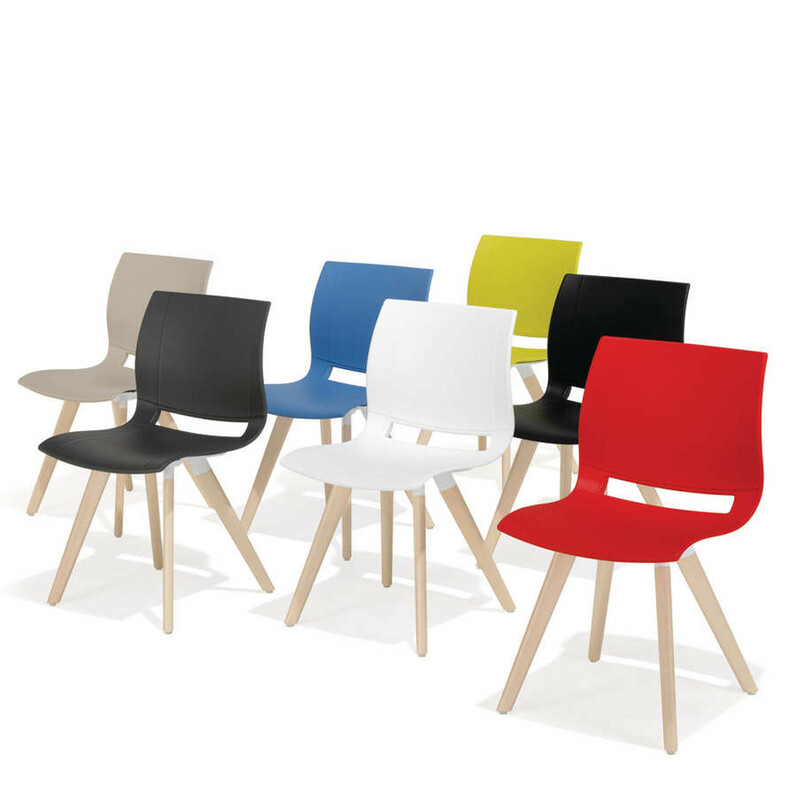 Designed by Norbert Geelen to complement the 6100 San_Siro Table Series, the 2080 Uni_Verso Chairs and Armchairs are a modern seating solution for breakout areas or canteens within the office, cafes, bistros or restaurants. 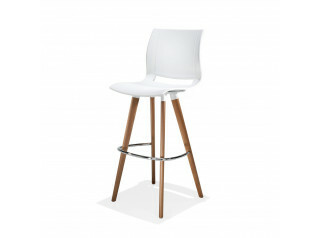 A barstool is also available within the 2080 Uni_Verso Seating Range. 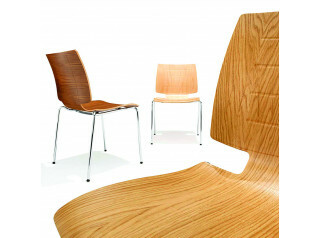 Optional upholstered seat pad/ back pad. 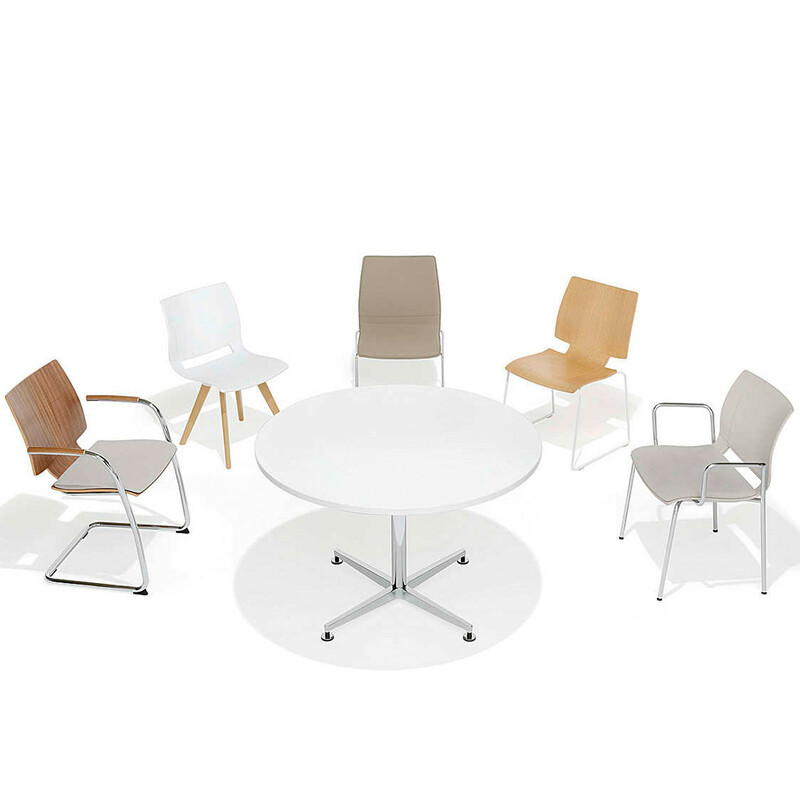 Uni_Verso Series also comprise the 2100 Uni_Verso Chair, the 2182/1 Uni_Verso Chairs and the Uni_Verso Barstools. 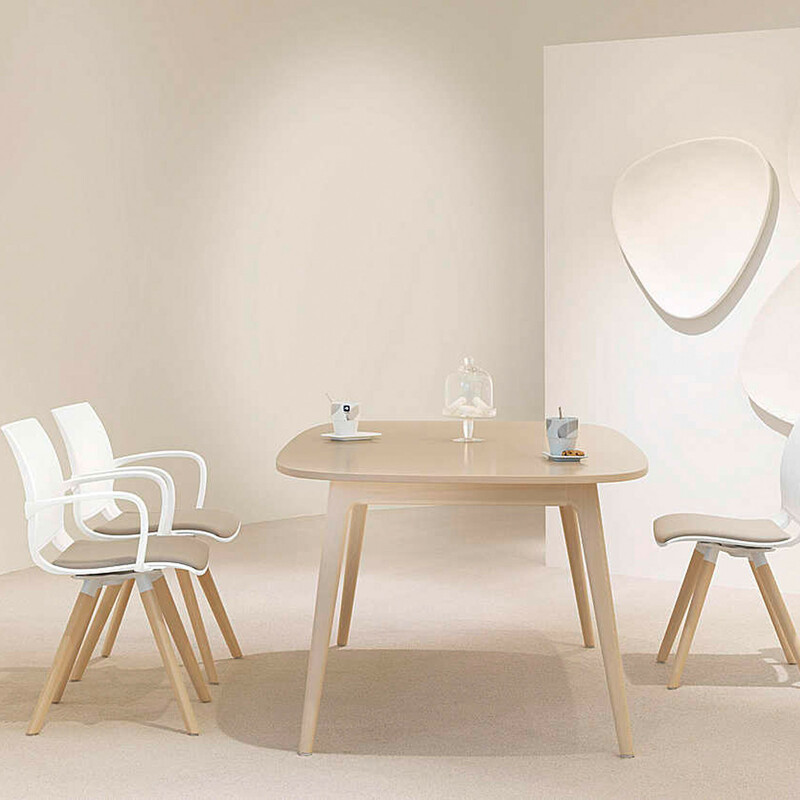 See more products manufactured by Kusch+Co. 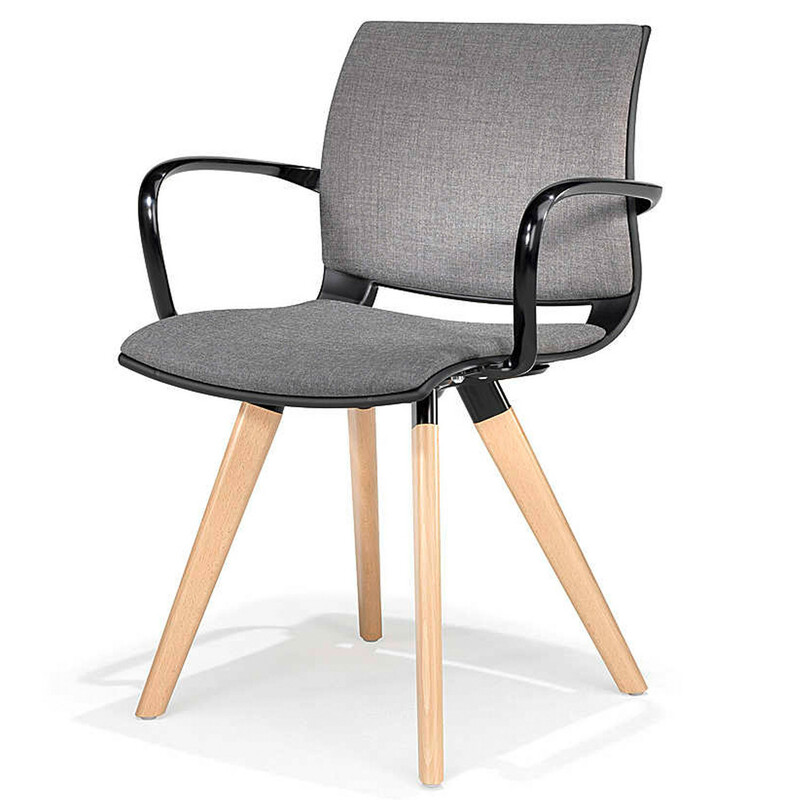 You are requesting a price for the "2080 Uni_Verso Chair"
To create a new project and add "2080 Uni_Verso Chair" to it please click the button below. 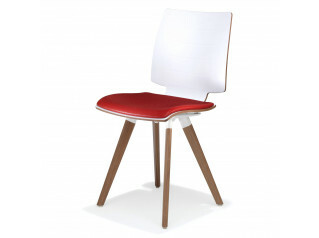 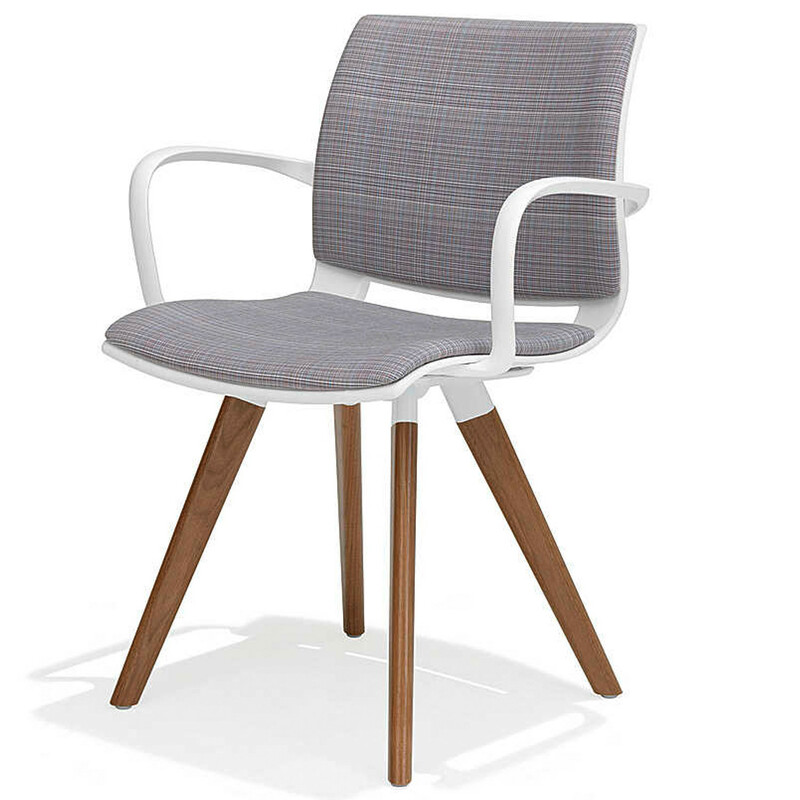 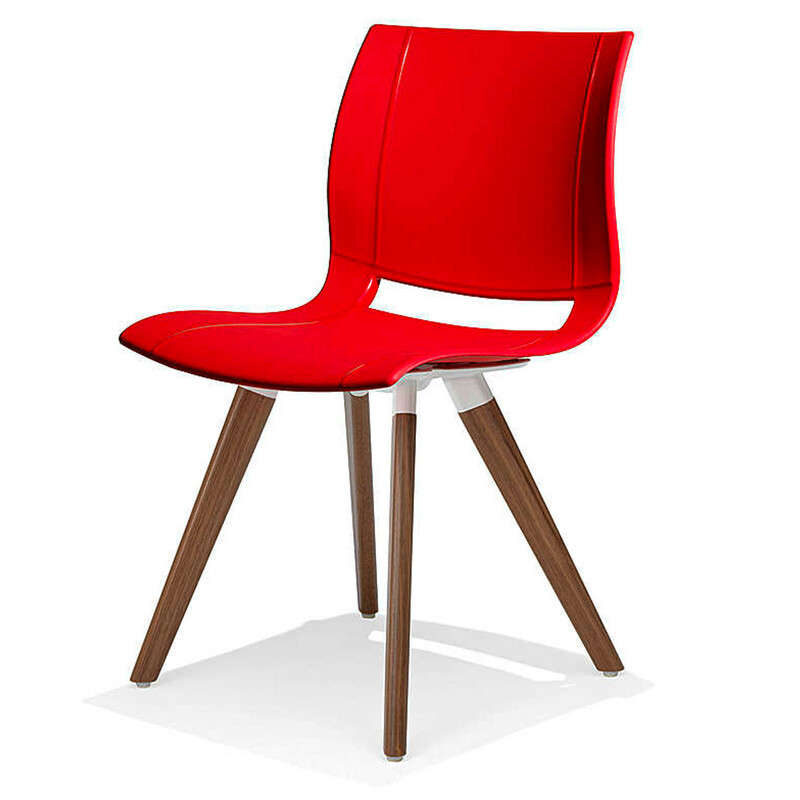 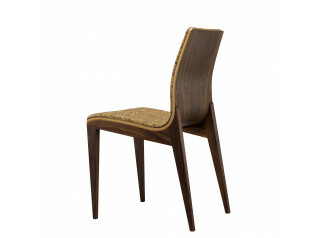 To add "2080 Uni_Verso Chair" to an existing project please select below.